Before the expansion of the Dalmeney Hotel there were three boarding houses; the Nelsonia, the Dalmeney & the Devonia as well as flats. 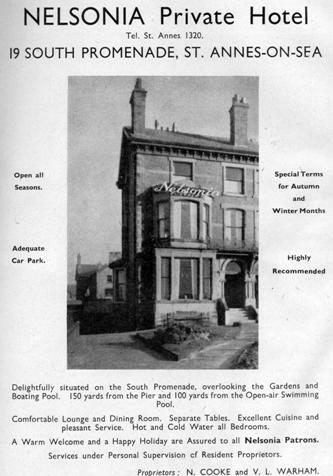 Advert for the Nelsonia Hotel, 1948. 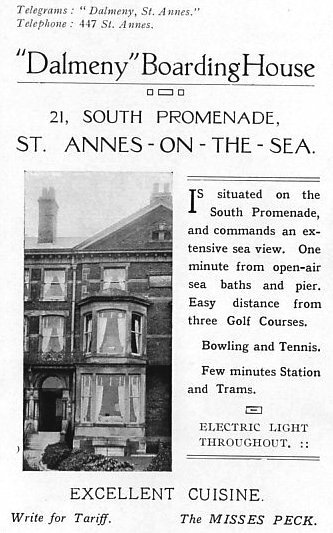 Advert for the Dalmeny Boarding House, 1925.